You’ve run your business well so far, but see the potential for it to be much bigger. There are a few obstacles in your way however. These obstacles could be inventory related, aging manufacturing equipment, transportation issues, or simply bad marketing and advertising. Overcoming these obstacles requires investments. At such instances, acquiring a business loan may be beneficial for you and your budding business. Doing so however requires asking yourself some important questions. This article will go over six questions that you will need to ask yourself before getting a business loan, and some key points to remember while doing so. 1. Should I apply for a loan? Before deciding to apply for a loan, it is important to determine if getting a loan is even the right option to facilitate your business needs. Ideally, making a decision on borrowing funds largely depends on your cash flow, and your confidence in your business’s ability to pay them off. If your future seems secure, and your company seems to be in a good spot and is expected to be in the future, applying for a loan may not be a bad idea. However, if your business is facing certain losses, or certain challenges in cash flow or inventory, it may be wise to hold off on borrowing funds for now. Applying for a loan can either bloom your business, or be its downfall, so make sure to consult with your financial advisor before deciding to apply for one. Having a long-term vision for your business is paramount in deciding. This can mean thinking about how monthly payments will affect your business, or how beneficial borrowing funds will really be for your business. The purpose of borrowing funds should be to take you closer to your business goals, not merely to take on debt or tackle very temporary issues. If you require immediate funds simply to improve your cashflow, you could consider invoice factoring rather than applying for a loan. Invoice factoring is a type of transaction which allows a business to sell, or factor, its receivable assets to a third-party in order to meet their immediate financial needs. Unlike applying for a loan which takes more time to be approved, invoice factoring allows you to convert your receivable assets into immediate operating cash. You can read more about invoice factoring here. 2. What do I need the loan for? Before applying for a loan, identify why you need it, or for what exact purpose you need the loan for in the first place. This will not only help you have a clear idea of where the acquired funds will go and what the amount is invested on, but will also help determine what kind of business loan to apply for. Asking yourself how this loan will help you and your business is an important step in ensuring the loan you take is truly fruitful, and does not get used for unplanned or unnecessary expenses. Both small business owners and fresh entrepreneurs often make the mistake of overestimating or underestimating the amount of money they require for their business. Either way, this can prove to be problematic. Underestimating can lead to you not having enough to work with or make any significant improvements to your business, overestimating can lead to lenders questioning your assumptions of your business’s potential and credibility. It’s important therefore to have a well strategized business model in place and calculate a budget before deciding on an amount to request for. 4. How long will it take for me to pay the loan off? Having an idea of how long it would take you to repay the loan is pertinent to figure out if getting a loan is the right way to finance your business needs. Additionally, this will also help determine which type of loan to apply for. While the additional borrowed funds will help business initially, having to pay an amount every month for a prolonged period of time may prove to be burdening and may lead your business to incur unnecessary losses overall rather than profits. 5. Where do I go to borrow? It is important to know which lender you want to borrow from. Different lenders have different policies and requirements for their loan programs. You should do some research on the lenders available to you and their terms in order to find the loan best suited for your business needs. Finding the right lender could be the big step in deciding whether your business thrives, or sinks. Applying for a loan involves approaching an SBA lender, a bank, or an alternative third-party lender. Each has their advantages and drawbacks. The Small Business Administration, or SBA, is a US government agency which provides support to entrepreneurs and small businesses. The SBA offers many different loan programs each with their terms and parameters to cater to a wide range of business types. This means you have a much better chance of applying for a loan much more fitted for you and your business’s specific needs. Some SBA loans also do not require collateral. While the SBA does not directly lend money to small businesses, it sets guidelines for its partners to abide by when providing loans to these small business. Having the authority of the SBA reduces the risk for partners by providing guarantee that the loans will be repaid. This acts as an incentive for lenders to be more comfortable in lending to small business that otherwise would struggle to avail loans elsewhere. The disadvantage of applying for a loan from an SBA lender is that they often have much more stringent requirements to qualify for a loan, and take much longer to be filed and approved (often 4-6 weeks). Conventional bank loans are arguably the most popular, as they charge low interest rates and have relatively faster processing times. However, it is traditionally difficult to get approval for a conventional bank loan as the vast majority of applications or requests for funding are denied. Alternative lenders are often alluring to small businesses as they do not require you to have ample experience in the business sphere, or require your business to have shown high revenue generating potential. As a result, approval requirements for alternative lenders are not as rigorous, and consequently, are very popular for budding entrepreneurs. The drawback is that alternative lenders tend to charge much higher rates of interest, or may require you to repay the loan in much shorter time. Thus, it is important that you go through the options available to you and their stipulations before choosing the right source for your fund request. 6. What do I need to apply for a loan? Also very important is your credit score. For banks, or any kind of lender for that matter, credit score is a measure of your capability of handling finances and your potential to pay back the loan that they will offer you. Often your credit score can be what finally determines whether or not you get the loan. How much you can borrow and the kind of terms levied upon your loan will often depend on your personal credit, as your business has little proof of credibility for banks or lenders to put faith on, or at least as of now. The better your credit, the better chance you have of securing a loan that is truly fruitful for your business. You can read more about credit scores here. Some lenders may also ask additional documents to be provided for further verification. 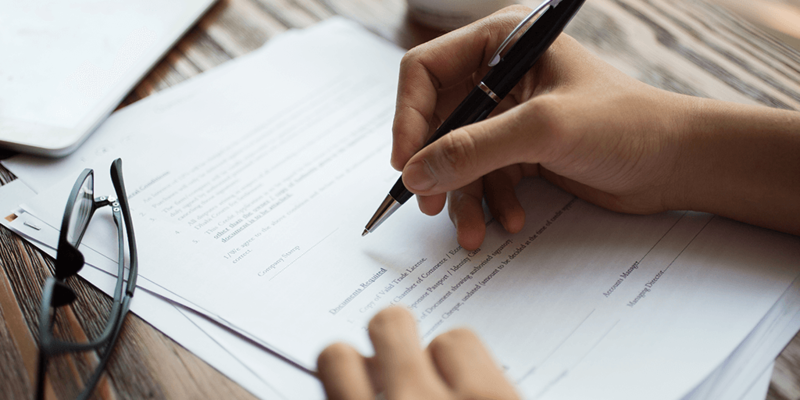 While it maybe a cumbersome process applying for a loan, it is important to ensure you follow every step and provide all the necessary documents your lender requires. The more cooperative and responsive you are, the easier and quicker your loan is approved. Approaching a bank or a lender for a loan with an established business is always an advantage as compared to approaching for one without. The longer you’ve been in the world of business and the longer your business has thrived, the more confidence your lender has in your business, the more faith they have in you. This enables you to avail a wider gamete of loans and acquire them a lot easier. Applying for a loan is a bit of a gamble, it can either bloom your business, or be its downfall and add to your debt. However, equipped with the right information and a well-analysed and comprehensive understanding of your financial assets, your business and its potential, and your own capability to pay off the loan, you can mitigate the chances of the loan becoming a burden and landing you in trouble.